A New Zealand study confirms that Argentine ants are hosts of a virus that is associated with honeybee deaths. The ants were discovered to also carry a previously undescribed virus, one that could trigger their own demise. Argentine ants (Linepthema humile) are considered one of the six most invasive and damaging ant species in the world. Large colonies can be found throughout New Zealand and there are similarly abundant and widespread populations on every continent except Antarctica. These pesky ants are a household nuisance and their negative impact on crops has been recognised. 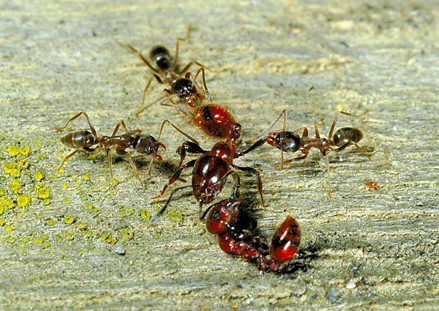 However, Argentine ants present a more significant problem: they are carriers of disease. Researchers from Victoria University of Wellington and the Institute of Environmental Science and Research (ESR) collaborated on a three year project – to collect and analyse genomic data from Argentine ant populations found in New Zealand, Australia and Argentina. The research is published in the latest Royal Society journal Biology Letters. The virus associated with honeybees, Deformed Wing Virus, was found in nearly all of New Zealand’s Argentine ant populations. This pathogen has been linked to colony collapse in honeybees. Lead scientist, Professor Phil Lester from Victoria University of Wellington states that their findings change the way invasive species are perceived. The large distribution of ants and their capacity to carry viruses that could prove devastating heightens researchers’ concerns. “This discovery tells us that Argentine ants are much more of a problem than we previously thought. 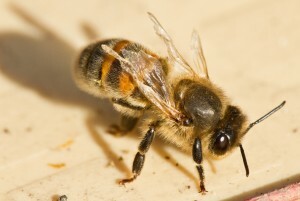 They host the same Deformed Wing Virus strain found in bees and wasps in New Zealand, and this virus has contributed to declines in honey bee populations around the world. Argentine ants are known to raid beehives and also forage in the same environment as honey bees. Such close contact is bad for bees, as their association promotes pathogen exchange,” says Prof. Lester. The research project resulted in the identification of an entirely novel virus in Argentine ants, Linepithema humile virus 1 (LHUV-1). LHUV-1 is related to viruses in other insect species that have destroyed populations. Prof. Lester says that this opens up the possibility of using the newly discovered virus as a biopesticide, if managed correctly. He says that this could be implemented here in New Zealand and overseas. Viclink senior commercialisation manager, Jeremy Jones comments on how the biopesticide could revolutionise New Zealand’s fruit and wine industries, where the ant is becoming an increasing problem. “This is an exciting opportunity to develop a naturally-derived, species-specific insecticide that could reduce reliance on chemical products, which often indiscriminately kill all insects,” says Jeremy Jones.